UPDATE 3: A 14-year-old has been charged in connection with this incident – click here for details. UPDATE 2: Lockdown status has been lifted. No injuries reported. Citizens should still avoid the school as police are preparing to clear the scene. UPDATE: The suspect is in custody and the weapon has been recovered. Authorities say the student will remain in custody pending charges. Police located a pellet gun on the Loch Raven property. 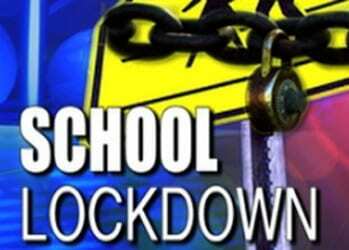 Authorities say Loch Raven High School has been placed on lockdown. SWAT units are responding to the school after the School Resource Officer (SRO) received information indicating that a student was concealing a gun in a backpack. When the SRO approached the student, the student fled into another area of the school. There is currently a heavy police presence in the area. Police are reportedly searching the school floor-by-floor. Parents are asked to report to the parking lot of The Big Screen Store, located at 1125 Cromwell Bridge Road. Parents should not report to Loch Raven High School.